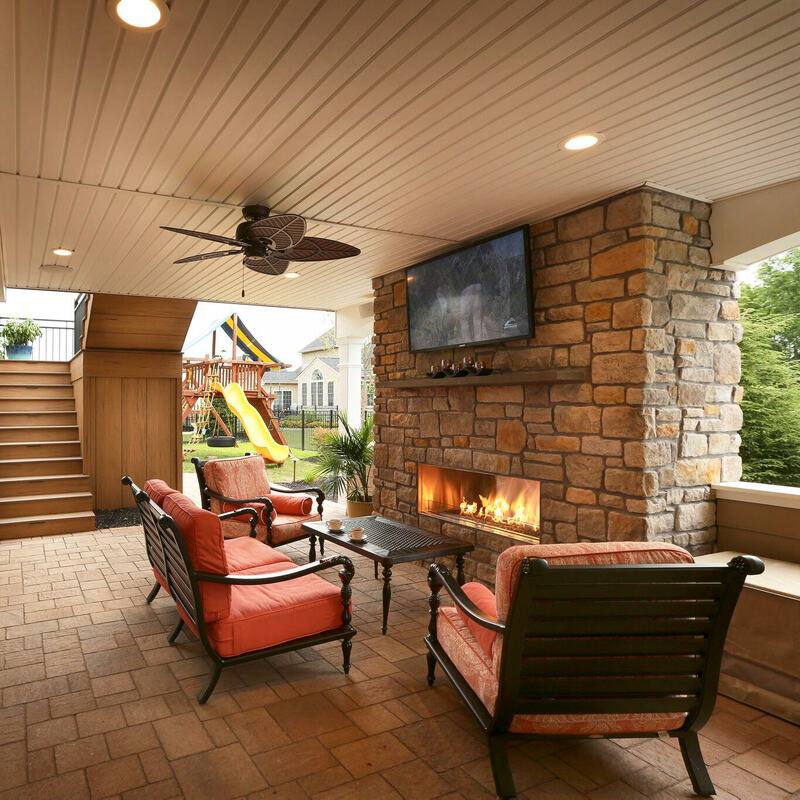 When it comes to outdoor living spaces, we have found that one of the most important components to a happy client is to incorporate long lasting and low maintenance materials. The days of the standard pressure-treated decks are gone and more efficient materials have been introduced. 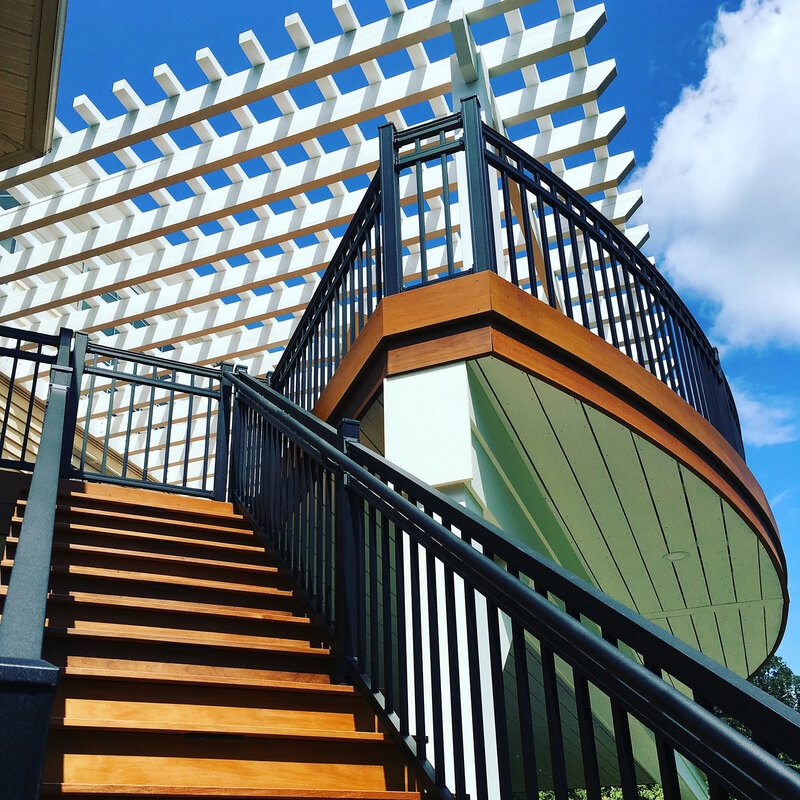 Azek composite decking material has changed the game when it comes to deck and patio spaces, but did you know that Azek has so much more to offer by the means of longevity, aesthetics and functionality? Once your new composite deck has taken shape, it’s time for the railing to be installed. Per code, any deck area that is 30″ above grade requires railing. Azek offers both aluminum and PVC railing, in a variety of styles from contemporary to a more traditional feel. These railings are sturdy, durable, low maintenance and visually appealing. Installed with a hidden fastening system, these railings are guaranteed not to peel, rot or blister. As an advance in safety, Azek has also developed an ADA compliant handrail system that can be retrofitted into most of its railing systems. Expanding upon finishing work, Azek also offers an extensive line of outdoor trim. From solid cellular PVC sheets, corner boards, column wraps to beadboard…etc. Azek trim is low maintenance and is impervious to rot and insects. There is no need to paint this trim, because the brilliant white will remain and have an “as new” appearance in any kind of weather. Are you working with a curved surface? For Azek trim, that is no problem. This trim can be heat formed to bend and curve to handle any job, making it the perfect finishing solution for your outdoor projects. On a more decorative note, Azek’s moulding line is top-notch. This cellular PVC moulding is available in crown, sill/drip and casing profiles. The profiles can be combined in a variety of ways to create enhanced and decorative detail to the outside of your home. The crown moulding is a simple way to create a rich visual interest, which gives your home that little extra something. This sill/drip moulding creates a visual separation from the foundation of the home to the start of the exterior siding, creating a clean delineation. The casing profiles are used to create the surrounds around door and windows. 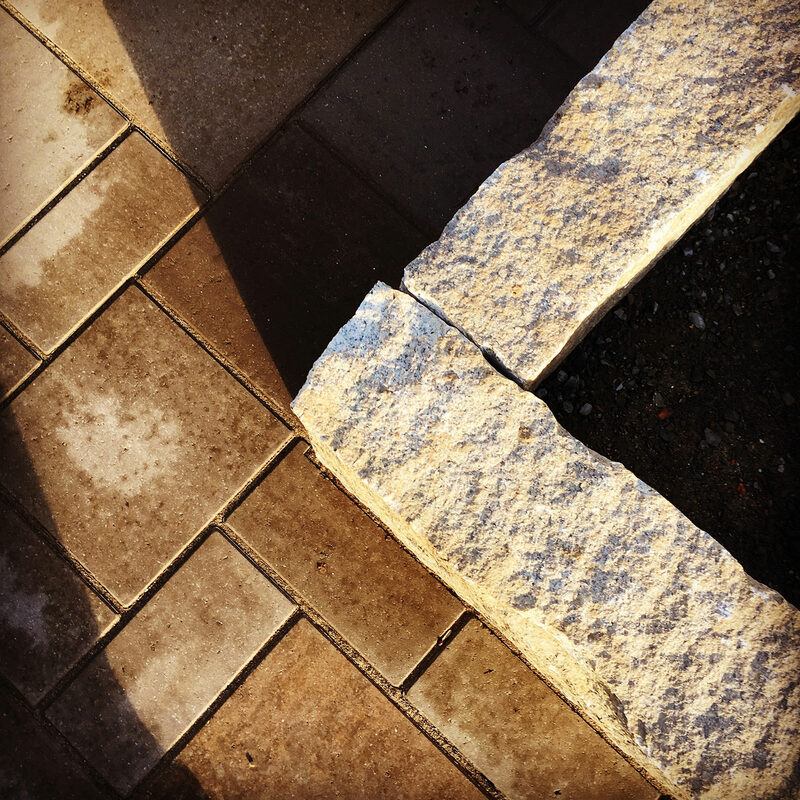 The smallest of details can transform the outside of your home from looking like the rest of the houses on the block to the house that everyone always looks forward to seeing when they drive by. 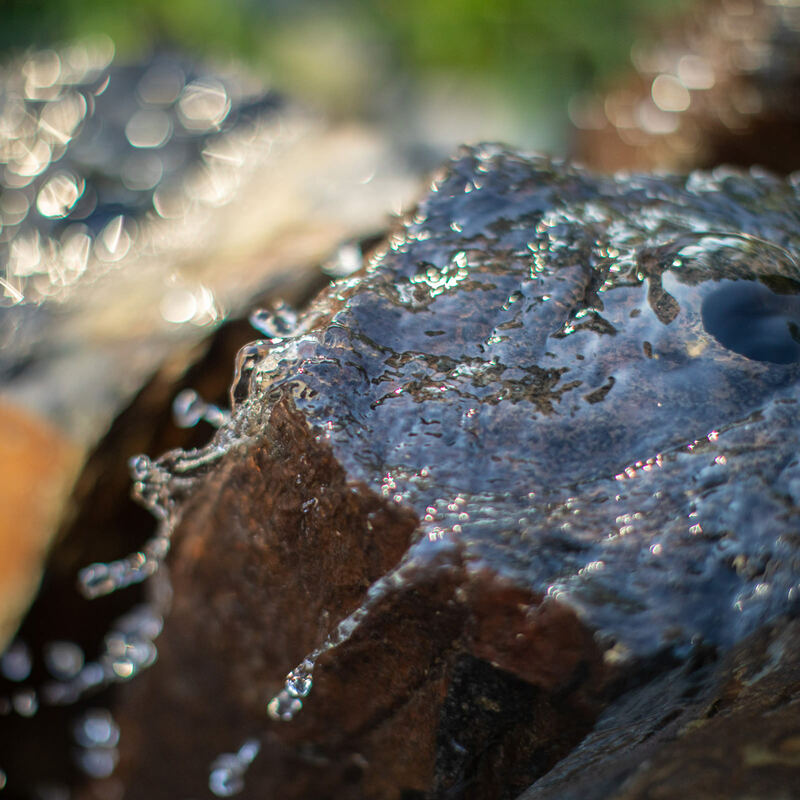 When planning an outdoor project, don’t forget to think about these details. 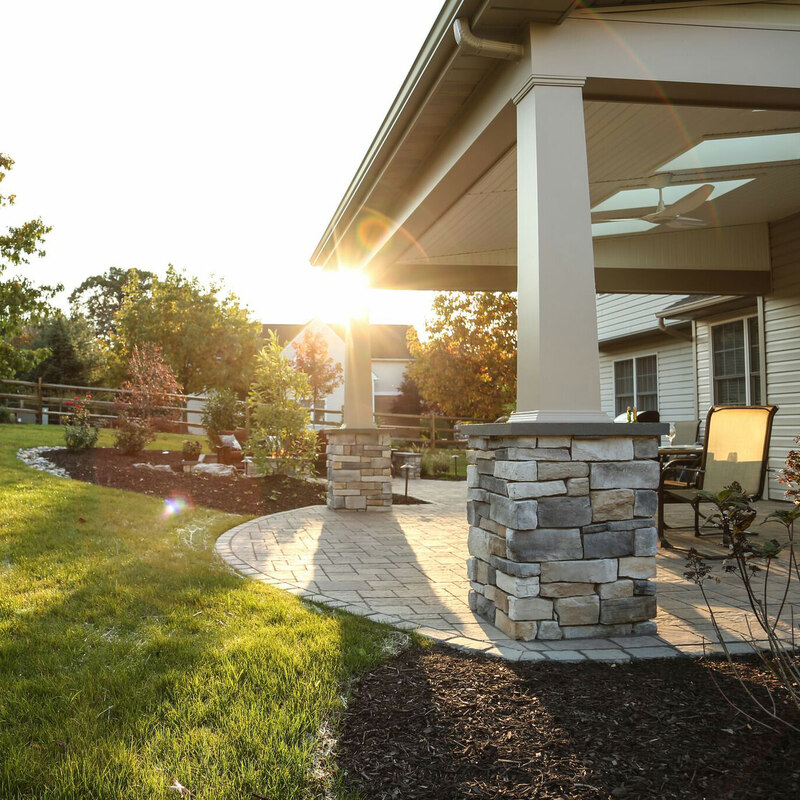 Let your landscape designer know what your style preferences are, so the details can reflect your personality at every turn. You can never go wrong with finishing touches and simple clean lines and Azek’s full outdoor product line delivers on its promise of functionality and aesthetics. 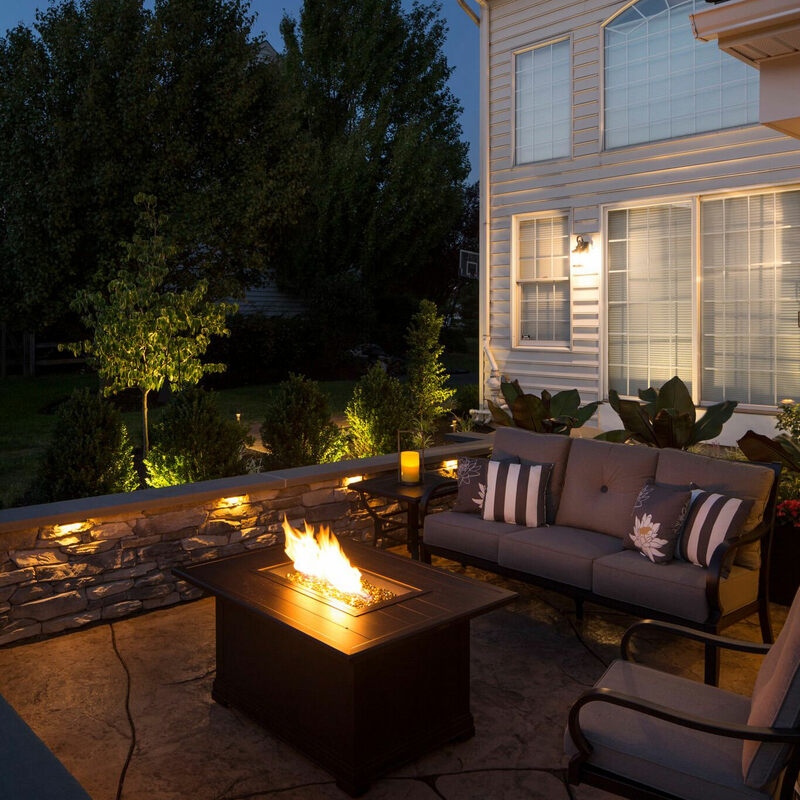 If you would like help with your own backyard transformation, reach out to MasterPLAN Lanscape Design. 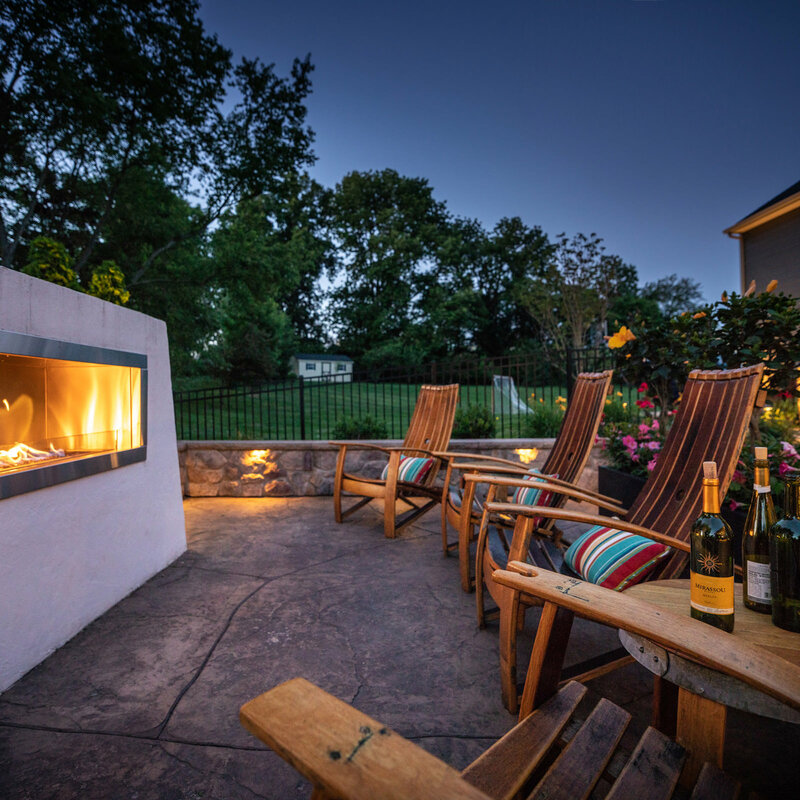 We are committed to creating low maintenance outdoor living spaces that give you an enjoyable place to rest, relax and spend quality time with your friends and family. We take care of the details, so you don’t have to!